Kesari is an Indian dessert, originated in South India. 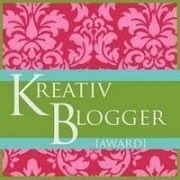 I had no idea about this before coming to blogging world. 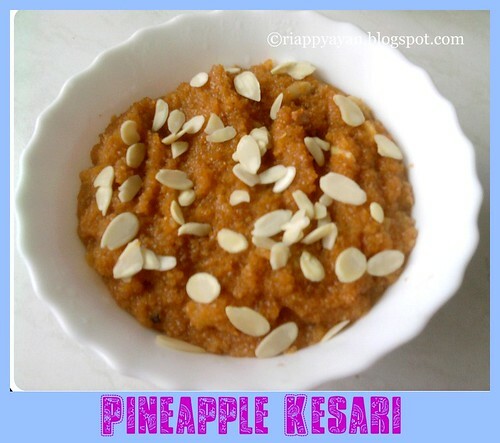 I posted plain kesari recipe before, this time I tried making kesari with pineapple. I love pineapple, specially love them in dessert. But I never made any dessert except bengali pineapple chutney, was looking for some dessert found this kesari recipe and I had no rawa/suji, by which Kesari is generally made, so thought to give it a try with dalia or broken wheat. I was pleasantly surprised with the result I got. 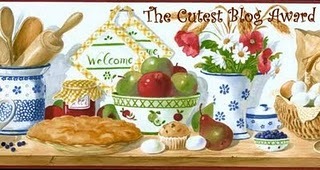 Little tangy, little sweet together with the goodness of broken wheat, was a healthy filling dessert. Cardamom powder : 1-2 tsp. Heat a pan, add dalia, fry for 2-3 minutes,then put in a pressure cooker, add double the amount of water and cook for 1 whistle. Evaporate all the moisture and keep aside. Heat ghee in a pan, add cashew nuts, stir-fry until they turn light brown, add pineapple, cooked dalia. Mix well. Add sugar, food color and keep stirring for 1-2 minute. Then add about 1 cup water. Cook continuously(or it will be lumpy) until all water evaporates. Cook for another 2-3 minutes. Sprinkle cardamom powder, mix and you are done. Decorate with slivered almonds or raisins. Chandrani(my younger sister) of Cuisine delights has shared few awards with me, she never forgets to share her awards with me. 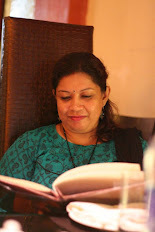 She has posted lots of mouth watering recipes in her blog, and has receive lots of love and support from blogging world. I'm very happy for her. 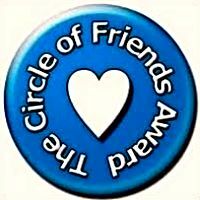 We share the same hobby of trying out new recipes, so friends keep visiting her blog and give her loads of support. 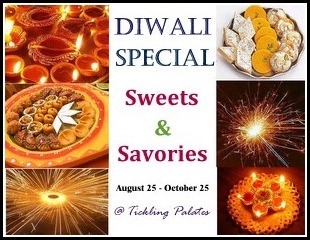 And to Radhika's "Diwali Special Event-Sweets & Savories"
wow too good n yummy..nice version.. I have never tried it with dalia. Thanks for sharing this one Indrani. 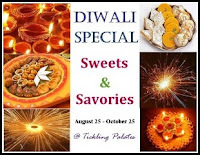 this looks so yummy, pineapple with dalia combo is too good, can get the nice aroma of the kesari..
Love the way u prepared this kesari, seriously inviting..
look so yummy and delicious!! New combination. Looks very nice. Surely calls for a try. 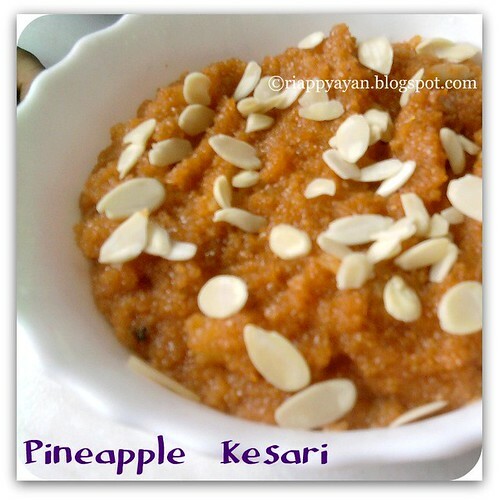 Pineapple kesari with wheat looks tempting and healthy too..Congrads on ur award. I dont know how I missed so many of ur good recipes. 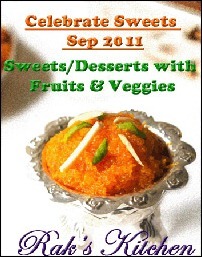 Innovative,healthy kesari luks yumm and I wd luv to grab that dessert bowl.Luv ur yumm recipes here,following U.